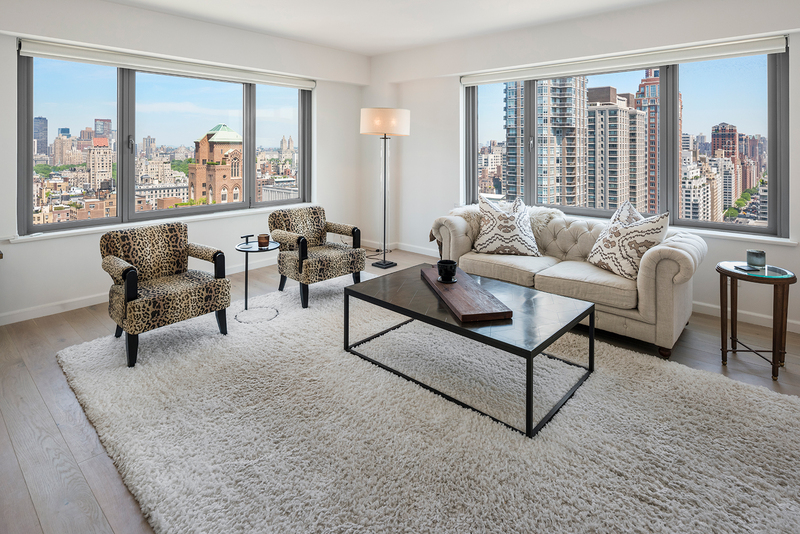 Be one of the first to live in this split two-bedroom, two-and-a-half-bathroom corner residence (including basement storage locker, and electric shades and custom closets throughout) in the newly minted luxury condominium conversion at 200 East 62nd Street. The interior, reimagined by the award-winning architectural and design team Messana O'Rorke, offers a bright, airy and open concept complemented by an incredible 16 windows. Perched high above Third Avenue on the 27th floor, this home presents sweeping city views (including Central Park) that extend to the horizon through exposures to the north and west. A gracious foyer opens to a sun-soaked great room that showcases stunning panoramic views of Central Park and the City's most iconic pre-war classics including the San Remo, Eldorado and Barbizon. All windows are outfitted with electric Somfy solar shades. In the evening, a designer "starburst" chandelier illuminates the space. A partition between these areas clearly establishes separate dining and living sections while maintaining the home's free-flowing character. Adjacent to the dining area is an open chef's kitchen appointed with white marble countertops and backsplash, custom matte lacquer cabinetry, a full Miele appliance suite and a Marvel wine refrigerator. A generous split layout was implemented for the living quarters to maximize privacy. Both bedrooms feature upgraded custom California closets, electric blackout shades by Somfy and sumptuous en-suite bathrooms. The marbled master bathroom boasts a double vanity, radiant heated floors, a glass enclosed shower, WaterWorks fixtures and Robern medicine cabinets. The second bathroom is clad in white ceramic tile and Basaltina stone. 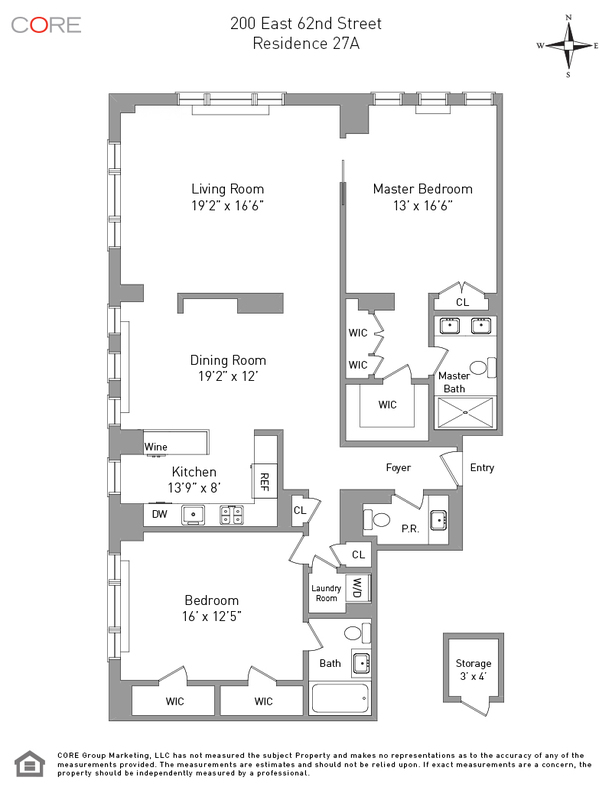 Additionally, both bedrooms are outfitted with multiple walk-in closets providing abundant storage. Other highlights of this extraordinary home include a laundry room with Miele washer/dryer, a powder room, digital climate control (zoned & Wi-Fi-enabled), wide plank white oak flooring throughout and a private basement storage locker.